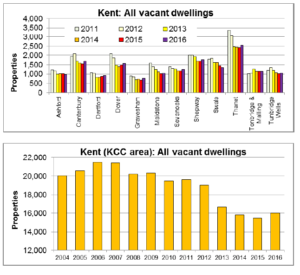 This bulletin presents vacant and empty property dwellings information for local authorities in the County of Kent to 2017. The data was published by the Department of Communities and Local Government (DCLG) and collated from Council Tax records. 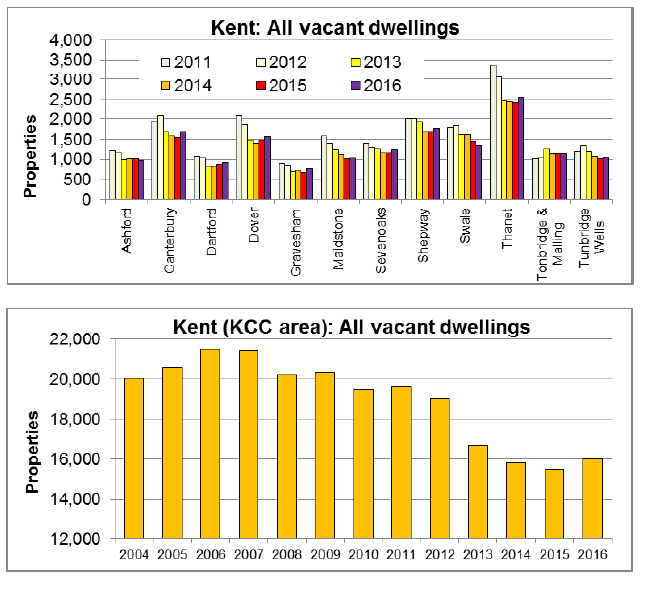 The number of long term vacant dwellings in Kent increased by 503 properties last year. However, this follows a downward trend since 2006.